Lung cancer is one of the most common and serious types of cancer. Around 44,500 people are diagnosed with the condition every year in the UK. Lung cancer is the second most common cancer in the UK after breast cancer and is the commonest cause of cancer-related death. 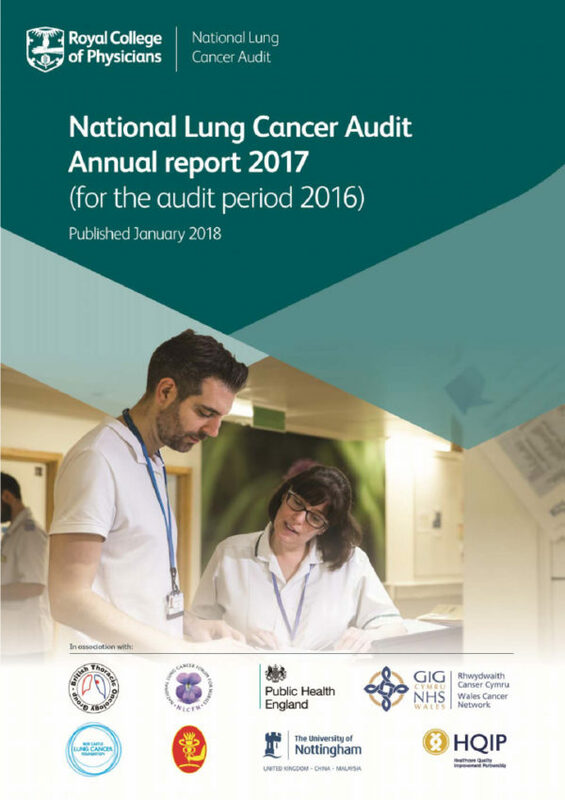 The National Lung Cancer Audit (NLCA) was developed in response to the finding in the late 1990s that outcomes for lung cancer patients in the UK lagged behind those in other westernised countries, and varied considerably between organisations within the UK. The audit began collecting data nationally in 2005, and since then has become an exemplar of national cancer audit. In 2015 the Royal College of Physicians won the tender to run the audit for the next three-to-five years. 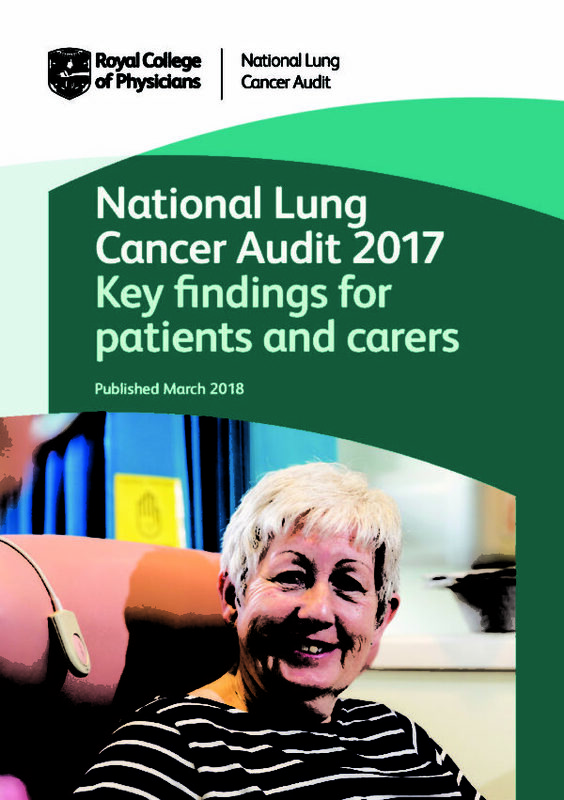 The NLCA has previously achieved outstanding levels of NHS participation with data being used to drive improvements in the quality of care for people with lung cancer. 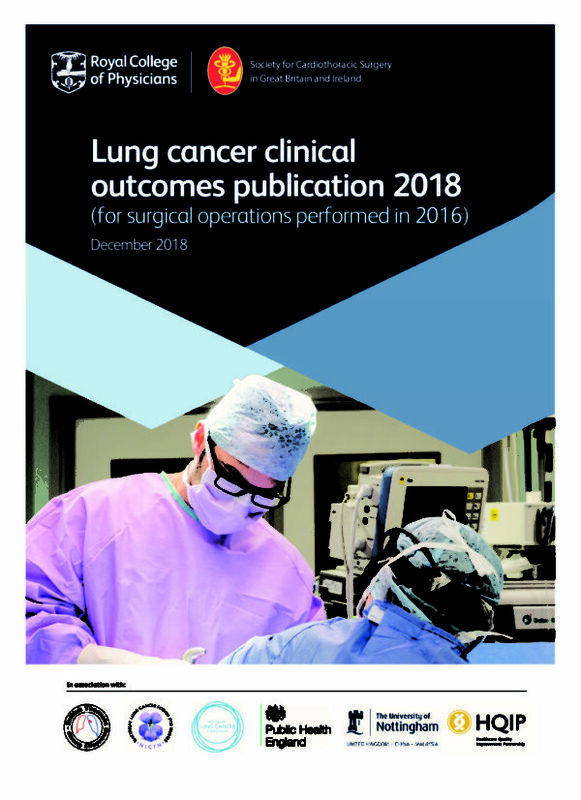 The Royal College of Physicians aims to build on this success by delivering a new NLCA that incorporates key advances in the field of lung cancer, diagnosis and treatment, whilst retaining the most successful elements of the previous audit. This audit utilises existing datasets rather than bespoke data collection. For details of how to apply for data that is not in the public domain, please contact the project team directly. This is the 13th annual report on the clinical component (process of care) of the National Lung Cancer Audit.